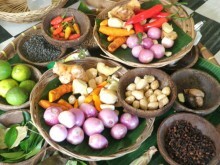 Bali Cooking Class begin with a trip to the local market (morning class only) in Ubud. 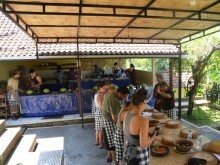 The food markets are a great way to introduce the participants to Bali culture and lifestyle. 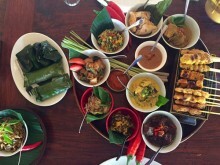 The Balinese Chef will explain about Balinese tastes and customs, local meat, fish, produce, finding unique ingredients and of course, Balinese-style bargaining! Learn the secrets of buying fresh ingredients in a traditional, what to select and what to reject. 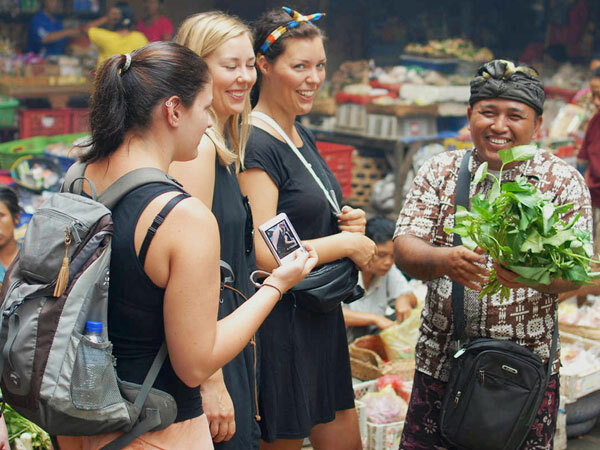 Touring a traditional outdoor market provides insight both into how Balinese people approach cooking and how many spend their day. These lessons are as important as those in the kitchen. 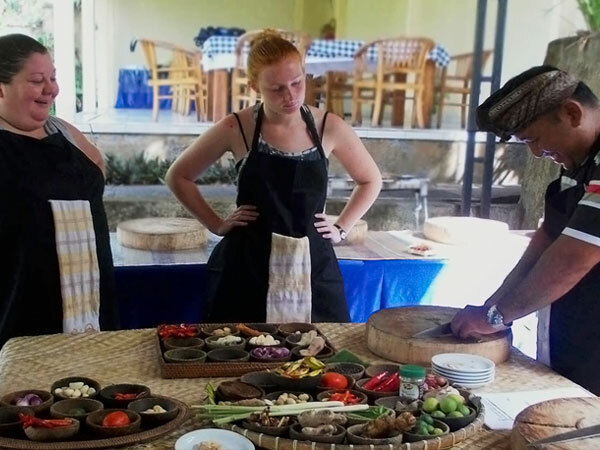 Bali Cooking Class that we offer are completely hands-on and conducted in English, participants will be provided their own cooking station and utensils to prepare and cook all of the dishes by themselves. The cooking class teacher and his assistant with extensive knowledge of Balinese ingredients and cooking methods will demonstrate how to cook all of the dishes and let the participants taste what they had prepared for lunch or dinner and also take away pack if you cannot finish it.